The Road Safety Authority has launched the Emergency Services Driving Standard (ESDS), a new driving standard for emergency service drivers in Ireland. This standard is the first of its kind in Europe, and sees Ireland leading the way in setting standards for emergency service driving. The new ESDS aims to reduce the risks associated with driving emergency service vehicles, to ensure patients and passengers are safe and comfortable and to ensure road safety best practice is employed when responding to an emergency. 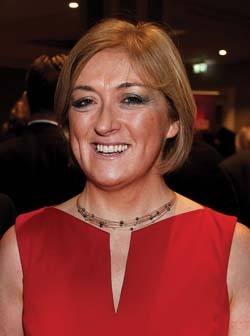 ESDS is the result of collaboration between the RSA and An Garda Síochána, Civil Defence, Defence Forces, Irish Coast Guard, Irish Prison Service, National Ambulance Service, the Pre-Hospital Emergency Care Council, National Directorate for Fire and Emergency Management, and the Chief Fire Officers Association. The Road Safety Authority has overseen the development of this new Standard which will be voluntarily implemented by the principal emergency service organisations in Ireland. ESDS aims to reduce collisions on our roads by creating a culture of safe and responsible driving among emergency vehicle drivers and a greater awareness of and management of risks. This involves ensuring all Emergency Service drivers are trained to the appropriate level by an ESDS trainer from the principal emergency service organisations, with the RSA providing oversight of the standard by acting as the accrediting body. A booklet outlining ESDS is available in hard copy by request from the RSA and is also available to download from www.rsa.ie.